Marchand de Trucs and Mindbox have joined forces to bring you an incredible new project. 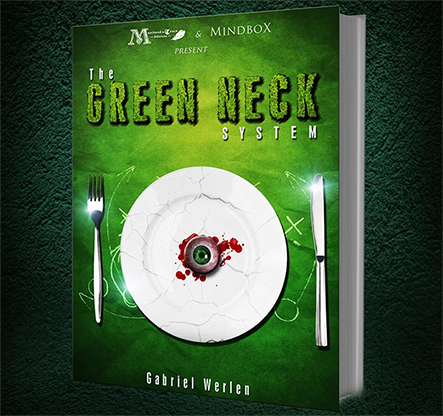 In The Green Neck System, Gabriel Werlen teaches you an amazing principle that you'll be able to use to perform a whole host of stunning magic and mentalism routines. You'll have a wide range of effects at your disposal, some impromptu, others prop-based. You'll be able to use them in both close-up performances and stage shows, with some even working long-distance (perfect for when you want to perform for someone over the phone). Best of all, the Green Neck System is intriguingly simple, and doesn't require your spectators to follow any complex instructions or elaborate procedures. Over the course of more than two hundred pages, Gabriel Werlen offers you a detailed explanation of the revolutionary new method that he's spent the last ten years refining and building upon, after taking an idea from Bob Hummer as his starting point. 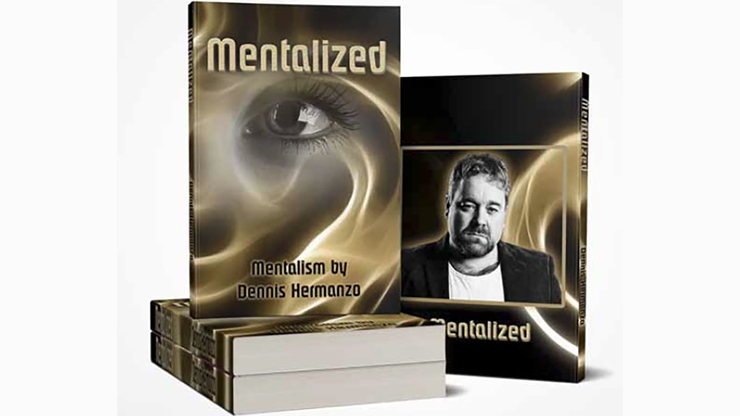 He reveals how he discovered the System and guides you through its basic features. He explains how it works before giving you thirteen full routines that incorporate the System into a variety of plots. "This book is a truly comprehensive study - over two hundred pages long - and it comes at a time when people are quick to publish PDFs of their ideas as soon as they stumble on a minor variation of something. This is much more meaningful than that! "When I started reading, I had my doubts about what new insights Gabriel could have discovered, fearing that a Bob Hummer principle that I've long been a fan of would end up being massively watered down. I was soon enchanted by the strange and oh-so-subtle intricacies of the various routines he describes. "My only regret is that Bob Hummer wasn't able to read this book - I'm sure he would've loved it! I've no doubt that Annemann, too, would've thoroughly enjoyed all these new developments." Setting the Table: A completely impromptu effect, whereby a spectator merely thinks of one of several objects, and the performer divines that exact object perfectly! At the Bar: The performer repeatedly identifies under which cup a spectator has hidden a paper ball. He finishes by explaining that he's going to influence his volunteer for the last round of the game, and proves it by predicting the cup under which she hides the ball. Poison: A Russian-roulette effect in which a glass of bleach has been mixed amongst glasses of drinking water. Breathalyzed: A 'PK taste' routine in which the performer is able to sense the exact drinks his volunteer is tasting. Mister Misfortune: A chair test with a bad-luck premise and a thrilling final twist. Fantasia in F Minor: The performer determines which of two spectators' hands is concealing a coin. Basic Instinct: The performer subjects several spectators to a lie-detection test, and afterwards reveals a celebrity that is in one of the spectators' minds. Many other effects are explained, included a stunning version of 'Bank Night' and an incredible coincidence routine that shows how much in love is a couple from your audience.